Zoe let me know of a new young golden orb weaver who had arrived. 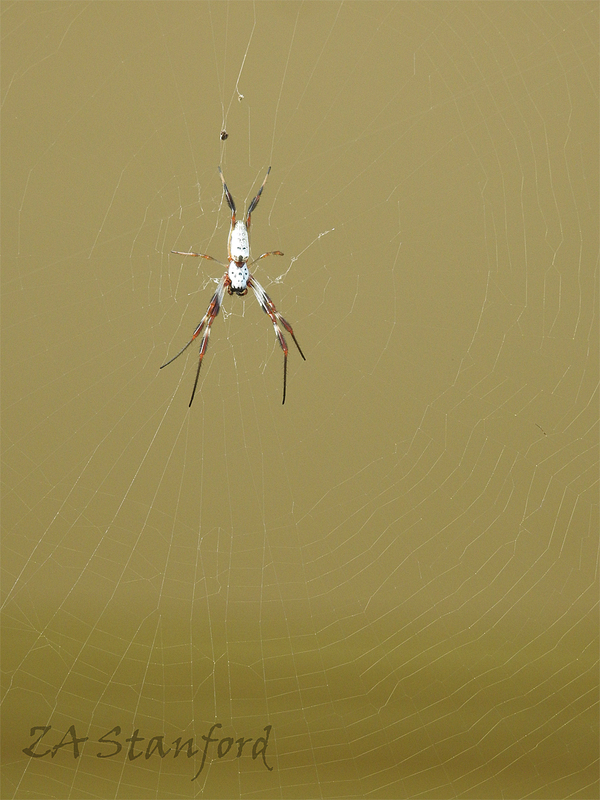 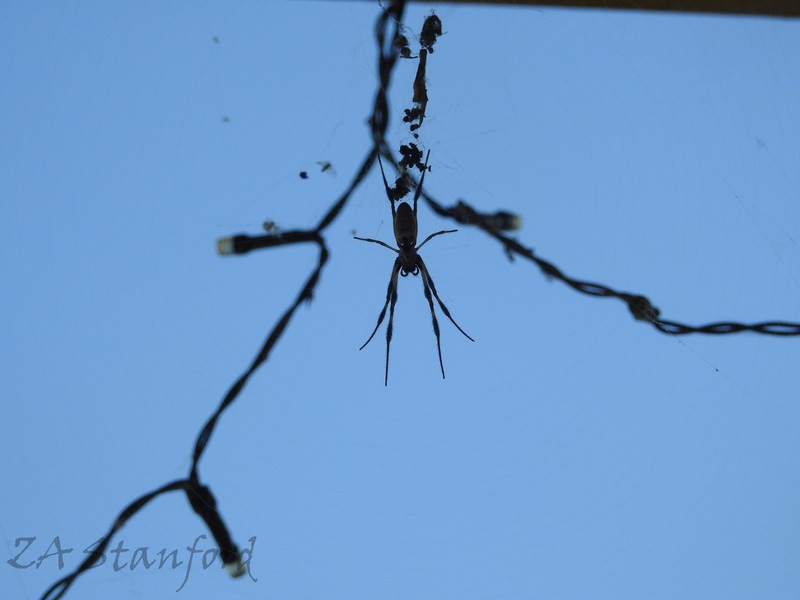 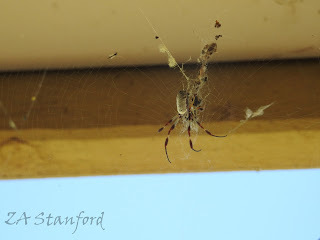 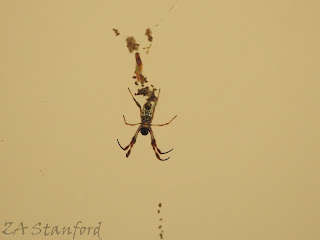 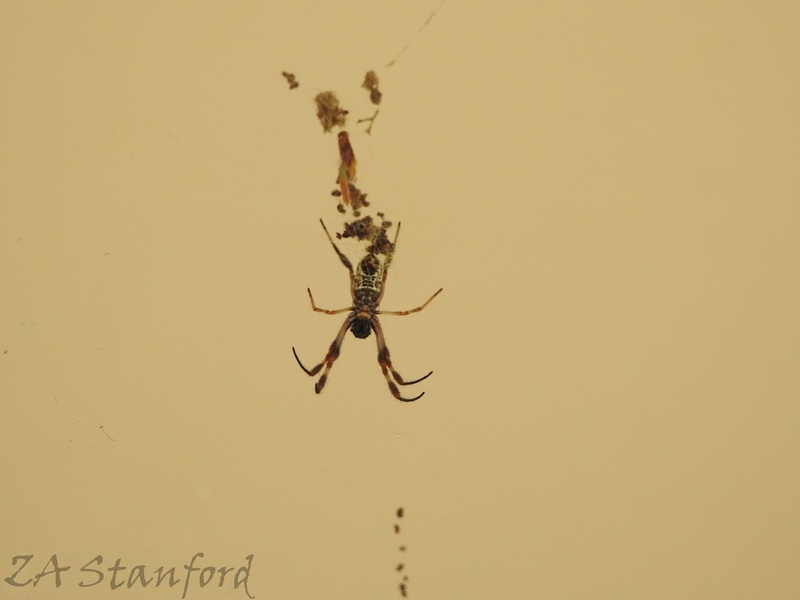 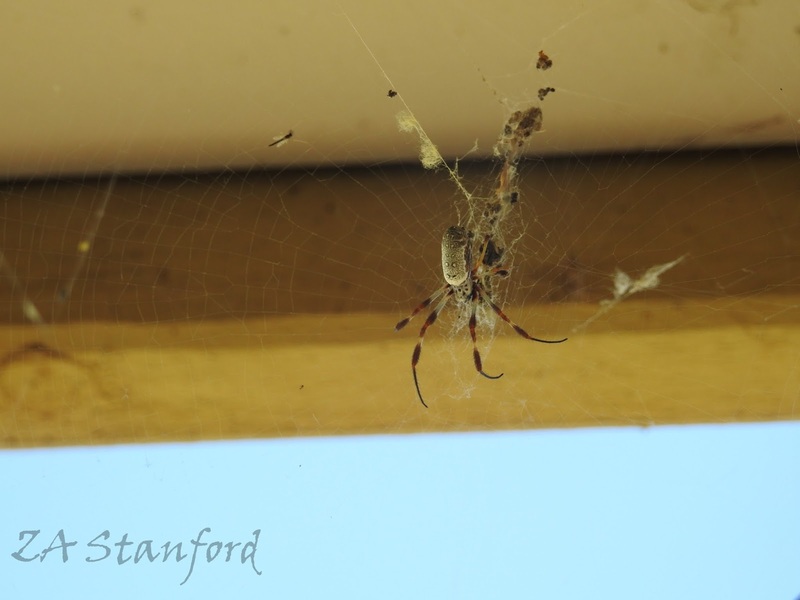 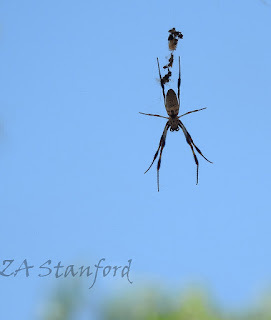 I asked her to take a series of photographs to show the way Nephila build up their set of debris above them on the web to act as a confusion for predators. 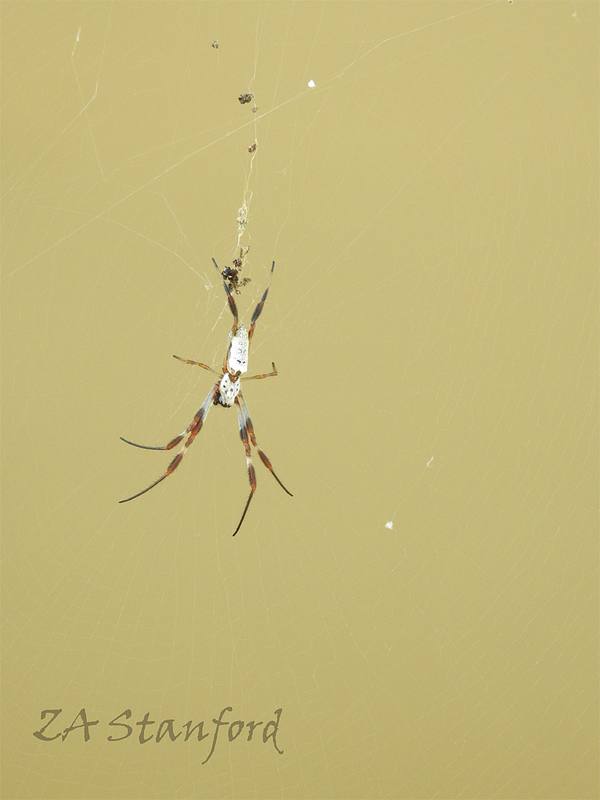 This is the sequence she sent. 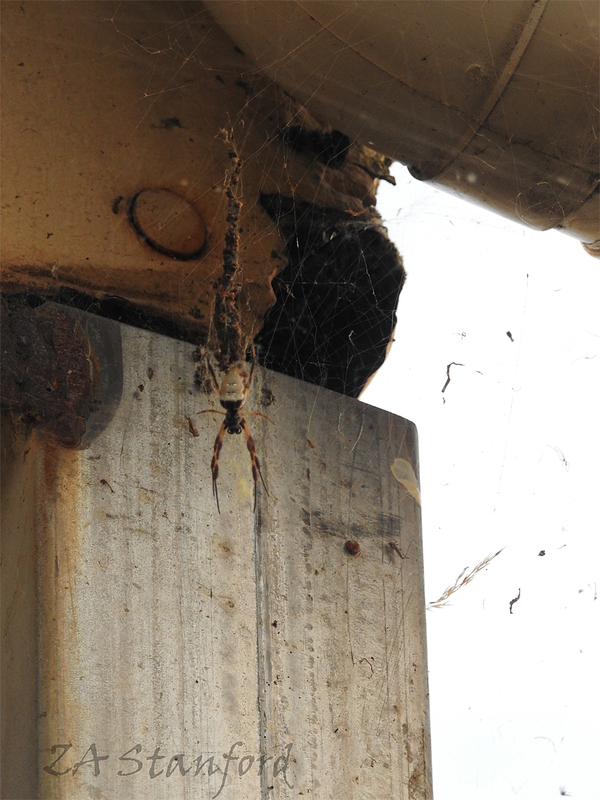 This is the final image of the spider, her web now full of junk. Unfortunately, she has built her web in a place which had no protective foliage nearby. 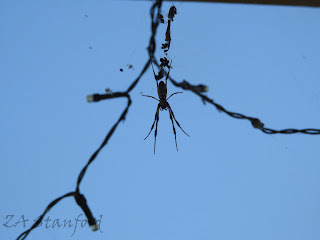 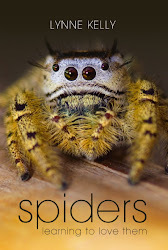 After a severe storm, Zoe found her spider dead in her web. 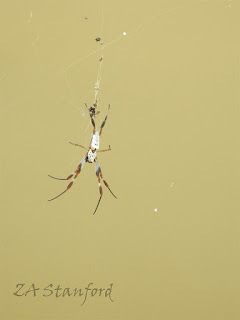 So sad!